Take a typical hand lay-up for making composites one step further with vacuum bagging. Once layers of reinforcement and resin are laid-up by hand, the laminate is sealed in an air-tight environment, like a vacuum bag, and connected to a vacuum source. Vacuum is applied, creating mechanical pressure on the laminate throughout the cure cycle. The advantages of vacuum bagging over traditional methods? Mechanical pressure compacts the laminate, removing air, humidity, and excess resin, which can all compromise the curing process and the performance of the finished part. This compaction improves the fiber-to-resin ratio, which is the key to maximizing the strength-to-weight advantages of any composite. Click on an image below to view the Vacuum Bagging Subcategories. 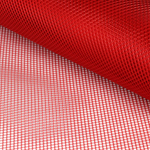 Vacuum bagging films, peel ply, release films and Stretchlon® for fiberglass and composite fabrication and repair. 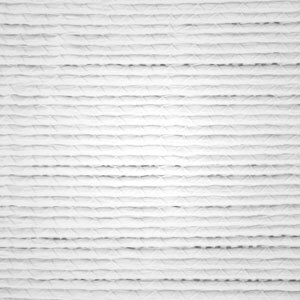 Choose from first-quality room temp and high temp films, tapes , breather/bleeder, and more. All in stock for same day shipment. 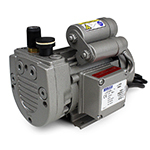 From starter pump to industrial capacity, Fibre Glast offers vacuum pumps and generators to suit the requirements of nearly any vacuum bagging application. For best results, match up the bag size for your composite part with suitable vacuum rates and maximum attainable air pressure. 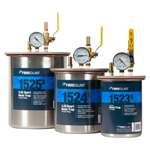 Fibre Glast offers a full selection of industrial-grade fittings, connectors, and tubing for use with most vacuum bagging and resin infusion applications. Regardless of set-up, the products in this category are designed to work interchangeably. Our vacuum infusion supplies include a number of trusted names in flow media, including EnkaFusion, Lantor Soric, and Divinymat, as well as HDPE, LDPE, tubing, and more. This category is designed to help you find the media that's right for your project. Build higher strength-to-weight ratios for your laminate with lightweight, structural layers of sandwich core. 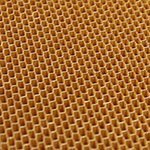 Nomex® Honeycomb, end-grain balsa, and foam in a variety of densities and formats make up a wide selection from which to build parts with increased flexural strength and modulus. Our category of vacuum bagging supplies is complete with the tools necessary to set-up and monitor the vacuum bagging or resin infusion process. From controlling air leaks to making solid connections, these tools will make your job easier. Explore the products that are right for your project. Resin Traps and feed lines are integral parts of any vacuum bagging process. Resin traps catch excess resin before it can reach the vacuum pump. Resin is delivered to the reinforcement fabric such as carbon fiber or fiberglass via feed lines such as spiral tubing or omega flow channels. Vacuum bagging materials and fundamentals will translate to vacuum infusion (also called resin infusion), which is an even more advanced manufacturing process. 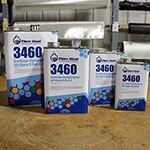 Rather than using vacuum pressure to remove excess air and resin from within the laminate, infusion uses vacuum pressure to drive resin into the laminate. Both vacuum bagging and vacuum infusion will require some items outside the scope of traditional hand lay-up, including the vacuum bag, peel ply or release film, and a quality vacuum pump. Your lay-up will determine the size of your vacuum bag, and it's advisable to match the size of your vacuum bag with pump ratings. You can access vacuum bagging materials, pumps, fittings, tools, and more from the vacuum bagging category at FiberGlast.com. Vacuum bagging is not necessarily a complex process and will, ultimately, produce laminates that are stronger and lighter. Want to learn more about Vacuum Bagging and Resin Infusion? Fibre Glast has a free Learning Center with helpful white papers. You can learn more about Vacuum Bagging and Vacuum Infusion with free white papers like: Vacuum Bagging Equipment & Techniques and Vacuum Infusion - The Equipment & Process of Resin Infusion. You can also view a Basic Vacuum Bagging Set-Up diagram. You can place your order right here on our website or, if you have any questions, call 1.800.838.8984 | 8:00am - 7:00pm EST Mon-Fri.